3 Godstone Road, CR3 6RA.Tel: 01883 342230. Shop Smart offer: 10% off standard stock for purchases over £5. Special offers on various items. 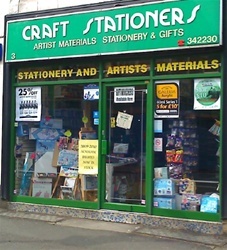 Discount of 25% on specific artists materials and boxes - check in shop for details. Always special offers for school, office or art products. 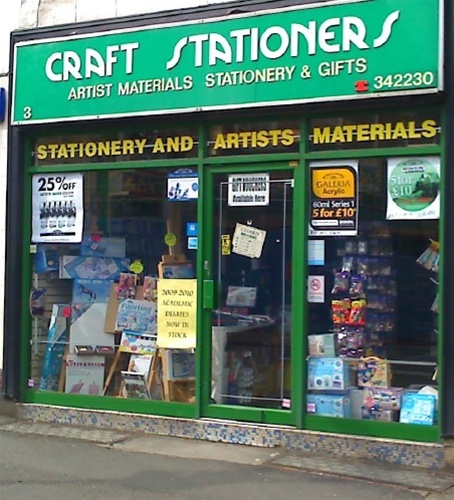 A large range of office, craft, school materials and gifts. Opposite new Cafe Nero. Come and browse our extensive range - advice always available.